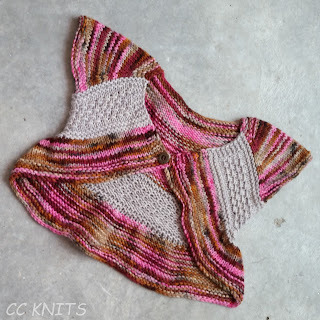 Apart from sharing my own knitting patterns, I want to use this blog to share recommendations for other patterns that I like. One example of such is the Entrechat shrug pattern. It knits up quickly and it's a really smartly constructed shrug for little girls (comes in an adult version too). The pattern is designed by Lisa Chemery a.k.a. Frogginette, check out her blog Frogginette Makes Things. The pattern calls for aran weight yarn, but I have successfully knitted this in DK/light worsted yarn without altering the pattern at all. 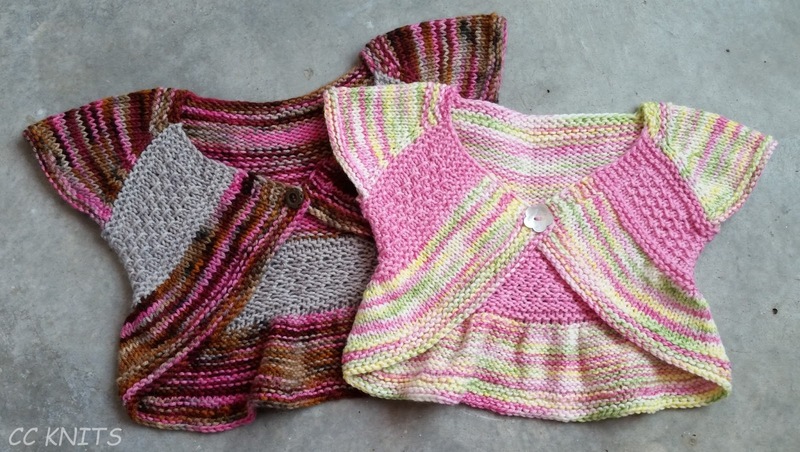 I would say the sizing is very generous and the size 3-4 year old I knitted for my daughter when she was 3 still fits her now that she is 5. I just made my second Entrechat and it will be a gift for a little girl soon to become a big sister. 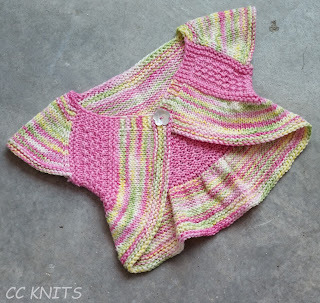 The pattern is perfect as a quick gift that looks like it is not that quick to make. As mentioned before, the pattern construction is really clever and you can play with colours for the different sections like I have done or keep it in one colour for a more classic look. I love patterns like this where everything is really clear and well written and there no need for alterations, but where you still have the possibility to play around with the design by using different colours. Check out the more than 1600 projects on Ravelry for inspiration!